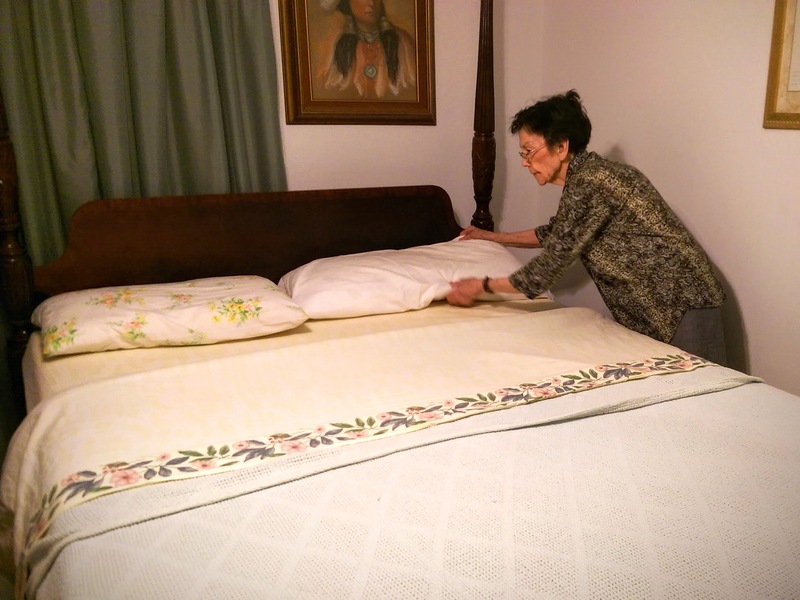 She is 93 years old and folding down my sheets for me. In the morning she will not remember who I am. I am trying to cherish these moments and commit them to memory. The pictures help.